Fun should be the chief component in anyone’s life: smiles, laughter, jokes, a general bounce in every step you take. 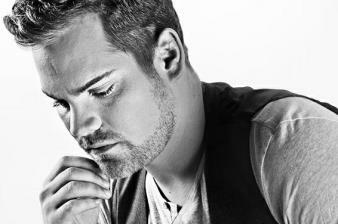 But until recently for Theo Tams – pop singer, songwriter, international performer and Gemini Award-nominated final Canadian Idol champion (class of 2008) – it was the one element missing from his life. You can hear it in his ebullient and electrifying self-penned pop songs: whether it’s the piano-driven romance of the energetic “Stay”; the entertaining “Steal Your Love Away”; or the pining “When You’re Not Around” - it’s a live wire sound that seems to boast an extra spark or two. “I’ve learned to have fun, enjoy the ride, the journey and not take things so seriously,” confesses Tams, who is signed to EMI Music Publishing and a development deal with Slaight Music. Influenced by Sarah McLachlan, Jann Arden and the team of Bryan Adams and Jim Vallance, Tams – who scored a No. 1 AC hit here with Ali Slaight for their charity duet “Do You Hear What I Hear?” –is ready to introduce Theo 2.0.